Growing up as an athlete is special. When you’re passionate about a sport, there are so many benefits that shape character, ultimately having a major impact and developing positive habits that follow into adulthood. Considering a sport for your child to try? Is a team sport better than an individual sport? There are many choices out there…but golf is an wonderful choice can offer many benefits for kids! Here’s our top reasons why. Socializing: Other than school, kids make new friends out on the golf course learning a new sport with others that have the same interest. Sometimes, these are friends that last a life time. Self discipline: When you’re dedicated to a sport, you need to invest time in order to succeed. 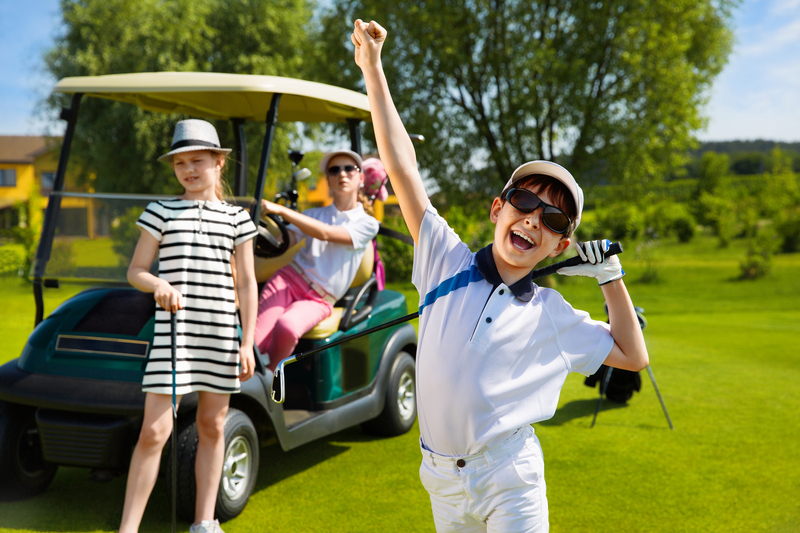 For kids, being a competitive golfer teaches them how to prioritize, and sometimes that means not being able to hang out with friends because of training or resting up for a tournament. These are life skills they can take into adulthood! Etiquette: There is no referee in golf, therefore players must govern themselves. For kids, this teaches how to manage and play respectively, showing etiquette to other players and taking self responsibility for their shots. Skills that can be used for life: Golf is a sport that can be enjoyed by anyone, at any age, played with friends or family! Physical health: Childhood obesity is an epidemic in the US, and with the rise of smartphones and the ease of internet availability, today it’s more important than ever to get kids involved in an active lifestyle. Playing golf not only allows them to move around, but being outdoors and getting fresh air is healthy for both body and mind. Keeping emotions in check: Experiencing the highs and lows of the game can help kids stay positive and focus on the current shot in order to succeed during a tournament and finish strong. This is vital for adulthood, when studying in school, starting a career and making/learning from life decisions.